Experienced product executive, author, mentor and leadership coach. 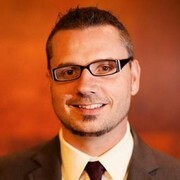 S. Zachariah Sprackett is employed by SugarCRM Inc. in the role of SVP, Product Management. He is responsible for the entirety of SugarCRM's product portfolio and roadmap as well as the User Experience and Release Management functions. Prior to joining SugarCRM, Zac served at Geeknet as Director of Network Operations where he was responsible for for several high profile web sites, including SourceForge, ThinkGeek and Slashdot, which served over 60 million users a month. Zac brings over 20 years of experience in technology roles and has extensive experience in Software Engineering, Site Reliability Operations and Sales. Manage operations for SugarCRM Canada Inc.